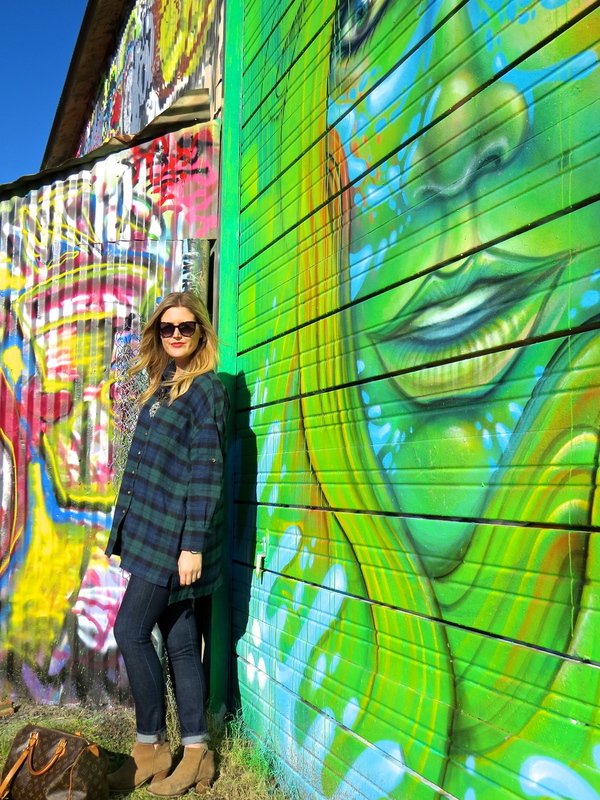 This oversized plaid shirt has been on MAJOR repeat. I'm already a sucker for all things plaid so when I saw this oversized one it was a win-win situation. It's also the perfect weight for a chilly day. I wore this outfit when it was around 50 degrees here in Dallas and I felt no need to wear a jacket! I added my sparkly tortoise necklace (thanks mom!) to add a touch of glam and girly to make the shirt not so "I stole it out of my boyfriends closet." PS: This amaze graffiti wall can be found at 621 Fabrication Street in West Dallas. It's actually a super cool concept - it's a "free wall" which gives graffiti artists a legal canvas. 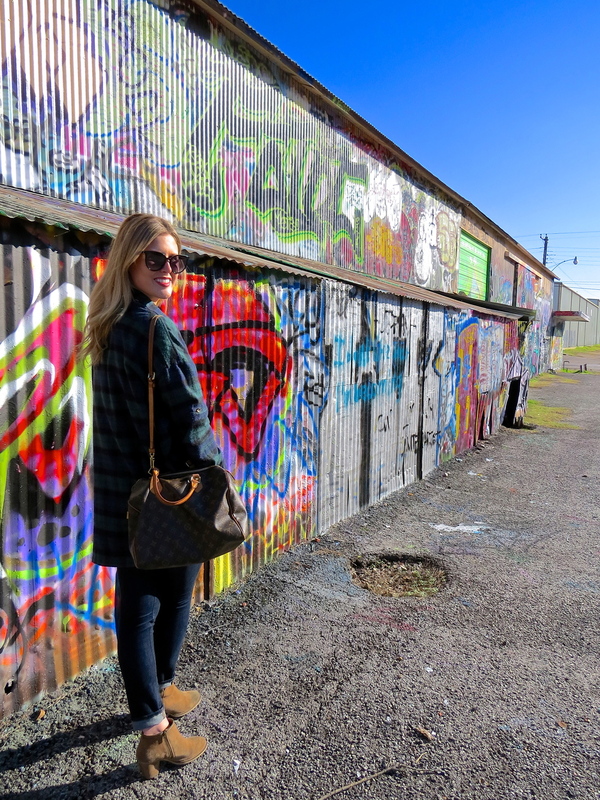 So if you have an itch to graffiti something or just want to try out your spray paint talents, this place is for you!